Multiple forewarning are in order for this post. First of all, I've never been to Cannes nor have I seen any of the films this year. If you are interested in first-hand information, you're probably better off reading indieWire or whatever. All I can offer is some perspective on the director's past works, with recommendations and random opinions. Which leads me to the second caveat. This post started as an email, a Cannes summary that I've been doing for a couple of years (but almost didn't happen this year because I forgot about the festival) and which grew rather large and started to include pictures. That being the case, bear with the strong opinions and schizophrenic writing style. This year's jury presidents was an interesting set of personal favorites, all directors: Tim Burton, Atom Egoyan and Claire Denis. A lot of attention was focused around the director who wasn't there, Jafar Panahi. Panahi is an Iranian directors whose films implicitly criticize the religious, class and gender divides in his country and since his arrest in March on presumably political grounds he's been the focus of attention and support from cinema-lovers, directors and film programs the world over. 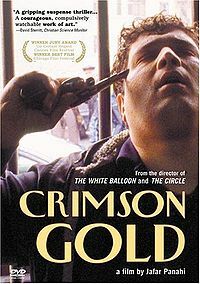 I've only seen his most recent films, "Crimson Gold" and "Offside," both quite excellent. Now is a great time to get more familiar with the work of a filmmaker who really puts his neck on the line. This year's golden palm went, only mildly surprisingly, to Apichatpong Weerasethakul (who just goes by Joe if you're not Thai), who probably couldn't stop winning prizes if he wanted to. His latest is "Uncle Boonmee Who Can Recall His Past Lives," an arty ghost story of sorts. I've kept up on Weerasethakul's films over the years, but he's one of the few directors who I almost wish would just stop. He has these amazing concepts that never really work for me and drag along in the most tedious manner. Yet I can't help watching his movies. His fans, typically high-brow critics, go into ecstatic fits over every shot and he's generally considered one of the greatest international directors to emerge from the last decade. 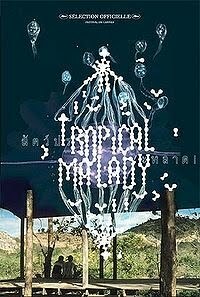 The only Weerasethakul film I've genuinely liked so far is "Tropical Malady" which plods along like a typical dreamy queer cinema indie romance until halfway through when one character apparently morphs into a murderous tiger and disappears into the jungle and the other characters follows him on a sort of naked spirit-quest hunt. Or something. I've been trying to get people I know to see the film just so I can have someone to talk about it with. His latest one sounds interesting, but usually that ends up being a evil trick. Lee Chang-Dong won the screenplay prize for "Poetry" about an elderly South Korean woman with Alzheimer's who discover poetry, for better or worse. 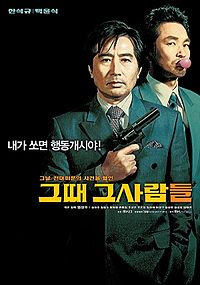 The buzz is that it's much better than that sounds, but I can't help thinking Chang-Dong should have won the screenplay prize back in 2000 for his more political "Peppermint Candy." 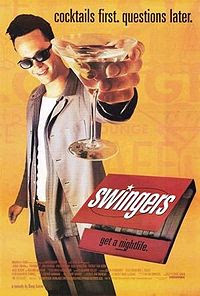 The film is famous for ordering its scenes in reverse, beating "Memento" to the screen by a nose. Chang-Dong sat on the Cannes jury last year, so you just know the whole thing was rigged (just kidding). The actor prize was split between Javier Bardem in Alejandro Inarritu's "Biutiful" and Elio Germano in Daniele Luchetti's "Our Life." Neither sounds particularly interesting outside of the performances, but most of the press says otherwise. The actress prize went to Juliette Binoche in Abbas Kiarostami's "Certified Copy," which has been getting mixed reviews. I love Binoche, but Kiarostami is very hit or miss for me. His work in the 1980's and 1990's from his Koker trilogy to "Taste of Cherry" is excellent, but everything since then has tended to repeat itself and get progressively slower and preachier. I think Binoche has some masterplan to work with every major director in the world: Godard (France), Kieslowski (Poland), Haneke (Austria), Hou (Taiwan) and now Kiarostami (Iran) to name a few. Of her recent stuff, "Summer Hours" by Olivier Assayas is quite good, though her hair is awful. 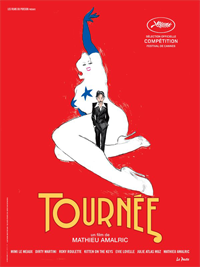 Binoche has the dishonor of being on this year's shockingly crappy official Cannes 2010 poster. Takeshi Kitano returns to familiar yakuza grounds with "Outrage." After "Fireworks," "Sonatine" and "Brothers" I'm not sure what he has left to say on the topic, but like Suzuki's yakuza pics and Scorsese's gangster films, it never really gets old. 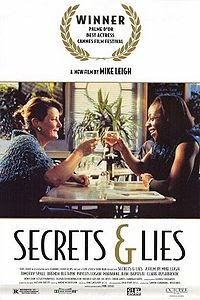 ... fellow Brit Mike Leigh's "Another Year." Maybe they split the vote? Leigh manages to lay bare the private hopes and fears of working class Britain in his semi-improv dramedies like "Naked," "Life is Sweet," "Happy-Go-Lucky" and his masterpiece "Secrets & Lies." Recently he has tried his hand at a variety of historical and biographical topics, but this sounds like a return to his contemporary preoccupations. Bertrand Travernier, an understated director who doesn't seem to have very many champions in the America, has a new film called "The Princess of Montpensier," a romance set in the 1562 French Wars of Religion. It will probably be pretty good. No one will see it. Cristi Puiu finally follows up his 2005 arthouse smash "The Death of Mr. Lazarescu" (a key film in the burgeoning Romanian New Wave) with "Aurora," the second installment of a planned six part series. At over 3 hours long, expect it to be brilliant, but exhausting. 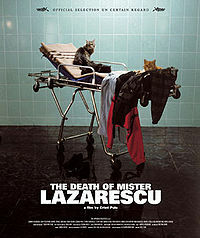 From Wikipedia: " Puiu spent five months searching for an appropriate lead actor before deciding to cast himself." Jia Zhang-ke continues to regularly stamp out intriguing works and now has "I Wish I Know." He's regarded as the best of the Chinese 6th Generation and I've recently been exploring his work. "Still Life" would be my recommendations for those who are considering giving him a try. I suspect his importance as a modern filmmaker will only continue to grow. Manoel de Oliveira, who at 101 is cinema's oldest active filmmaker (no one ever fails to mention this when talking about him, so why should I? ), is showing "The Strange Case of Angelica." I wish I could find more of his enormous oeuvre, but it all seems rather rare. I watched "Abraham's Valley" in a mediocre dub and it only just whet my appetite without really satisfying me. 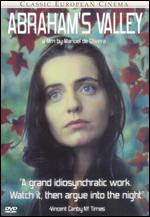 As far as Portuguese directors go, I suspect de Oliveira is more worth seeking out than his fellow arthouse favorite Pedro Costa, whose stuff is just mind-numbing. 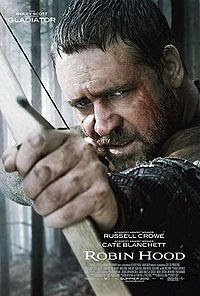 Opening the festival was Ridley Scott's "Robin Hood" which has already hit theaters in the US and word is that it is pretty awful. Other films outside the competition are "You Will Meet a Tall Dark Stranger," another Woody Allen film on the same old Allen romantic entanglement themes and the usual all-star cast that deserves something better, "Tamara Drewe" by Stephen Frears ("High Fidelity," "The Queen") and Oliver Stone's sequel "Wall Street: Money Never Sleeps," set during the 2008 financial crisis (I actually kind of want to see it). Why does everyone love getting Russell Crowe dirty? Would you believe that Juliette Binoche's Japanese-teenage girl-ca. 1998 hair was the only thing about Summer Hours that I liked? This roundup is way more fun than the ones written by people who actually went to the festival. Thanks Katie P, especially since the whole post would never have happened if you hadn't reminded me about Cannes coming out of Don't Look Now, Sunday. 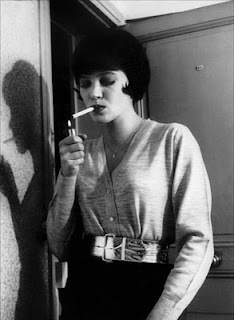 I don't actually believe that Binoche's hair was the only thing you liked (really? ), but I can understand you liking it. I just can't tolerate her as a Blonde. Besides, the best thing about Summer Hours was that it isn't Boarding Gate. Lots of the films you mention sounded interesting, and I would see them with you when we get the chance. ...But mostly I got excited when you said there was a new Stephen Frears movie. Awww. The scary thing is, 'Swingers' is probably Liman's best film!